YOUR PRODUCTIVITY - Precise adjustment means maximum output. YOUR WALLET - Avoid high costs and downtime of unplanned repairs. YOUR TIME - Expert help means more time for you and your family. SIGN UP TODAY to protect your machinery investment! Sign up for your Uptime inspection online and receive a gift card redeemable for $40 of merchandise at the Titan merchandise store. 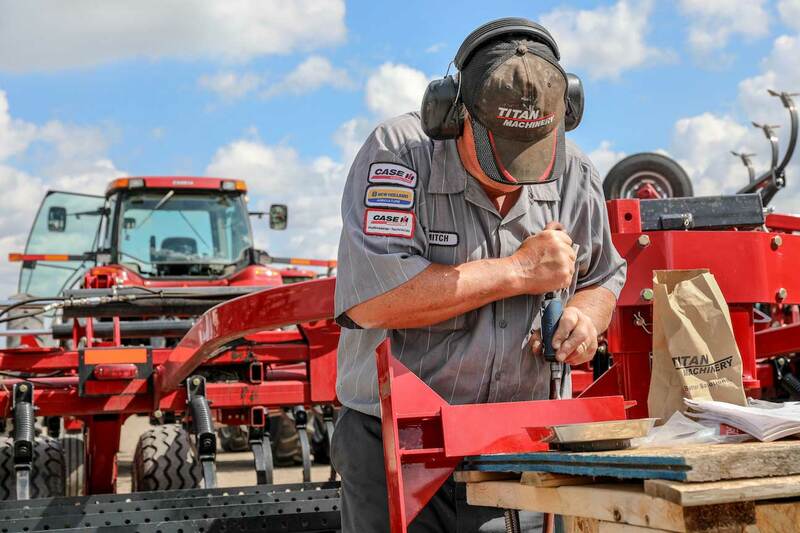 Priority In-Season Support – Equipment inspected and repaired by Titan Machinery’s factory-trained service technicians under the Uptime program go to the front of the line when timely service is required at your busiest times. A Precise & Complete Inspection – Our technicians follow strict factory guidelines developed specifically for your machine and we include additional checks based on years of experience to ensure that your equipment is ready for the season. Factory-Trained Experts – Our service technicians have the training, experience, diagnostics and tooling to find and correct equipment issues before costing you unplanned repairs, lost productivity and your valuable time. *Offers good through March 31, 2019. Productivity Plus offer is good for qualifying customers with sufficient open credit limit and requires minimum $750 purchase to qualify. See participating Titan Store for more details. **Work order must be closed before March 31, 2019 to qualify. Other restrictions apply. See your local Titan Machinery dealership for more details.